Schindler Lifts Australia is part of the Schindler Group, one of the top elevator companies in the world, spanning 100 countries with more than 60,000 employees worldwide. We are one of the largest suppliers of new elevators, escalators and moving walkways in Australia today, employing over 1,000 employees who design install, service and modernise urban transport systems for almost every building type. Working with us means that every single day, no matter what you do, you seize the opportunity to impress our customers and tackle every challenge head-on, in partnership with our highly skilled teams. Reporting to the National EHS Manager, the main function of this role is to assist the National EHS Manager in ensuring that the company's EHS Management System is understood, implemented and maintained at all levels of the organisation. Your key responsibilities involve managing return to work injury management and workers compensation claims nationally, manage our subcontractor process nationally, assist in driving and promoting safe behaviours and compliance nationally through training, support and advise on EHS matters and conducting audits/inspections, safety walks and incident reporting. 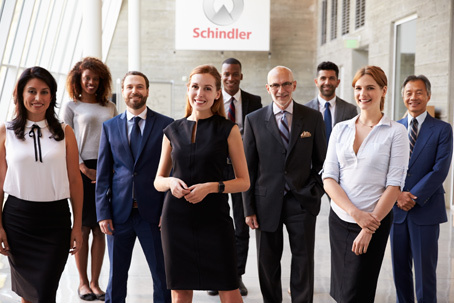 If you are an existing Schindler employee, please ensure you have discussed your application with your line manager prior to applying.